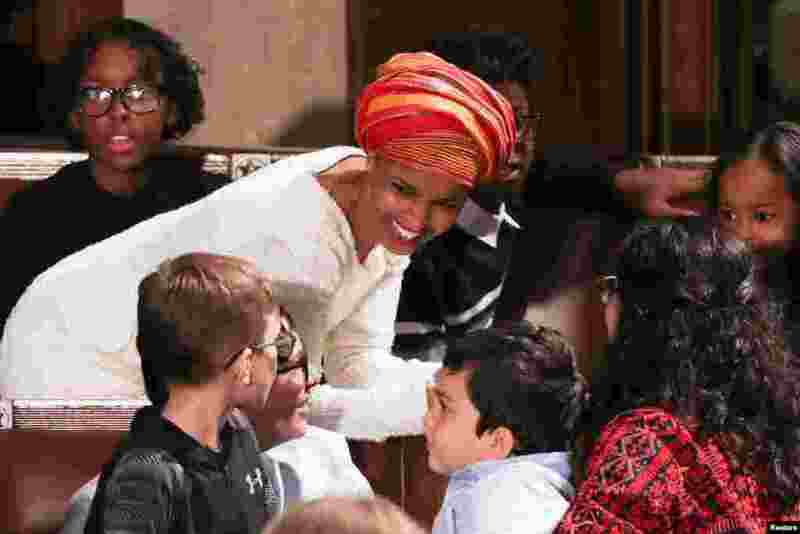 Divided government returned to the United States Thursday with the swearing-in of a new Congress. 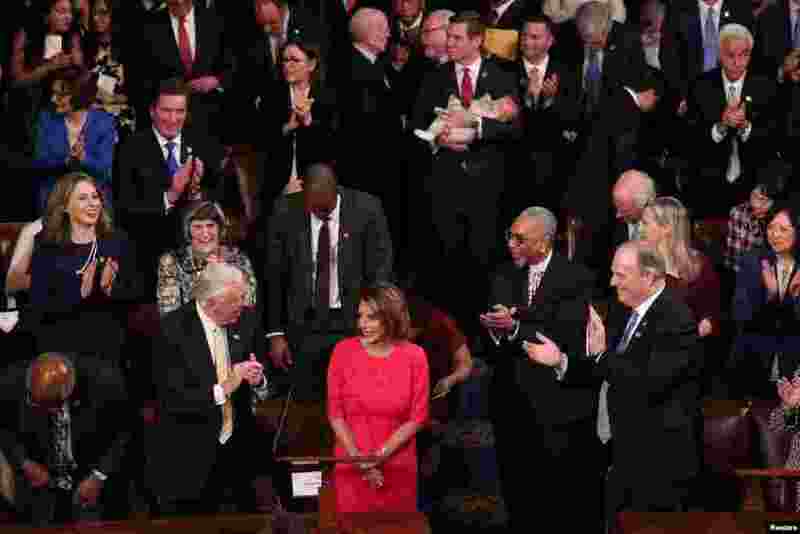 After two years during which Republicans controlled the White House, Senate and the House of Representatives, Democrats now hold the majority in the House. 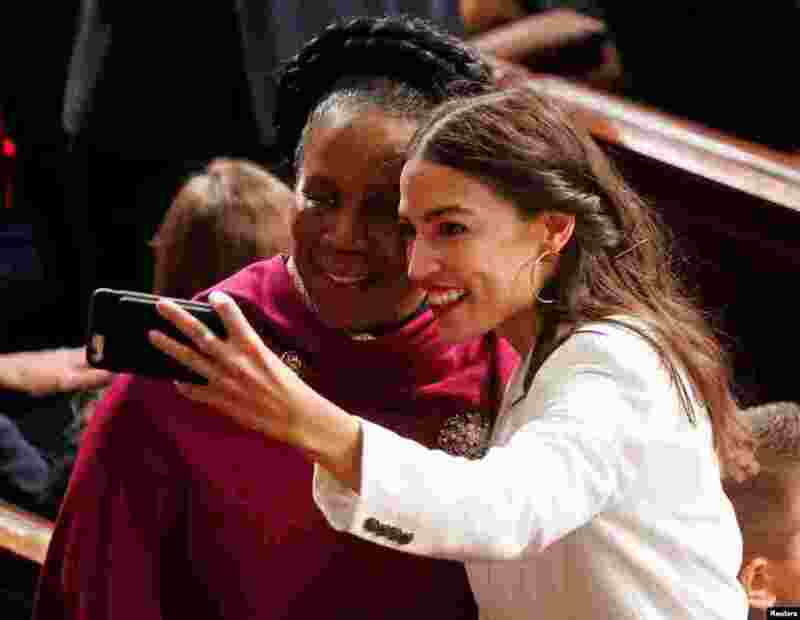 2 Representative-elect Alexandria Ocasio-Cortez (D-NY) takes a selfie photo with U.S. Rep. Sheila Jackson Lee (D-TX) as the U.S. House of Representatives meets for the start of the 116th Congress inside the House Chamber on Capitol Hill in Washington, Jan.
3 Rep.-elect Ilhan Omar, D-Minn., talks on the House floor before being sworn in at the Capitol in Washington, Jan. 3, 2019. 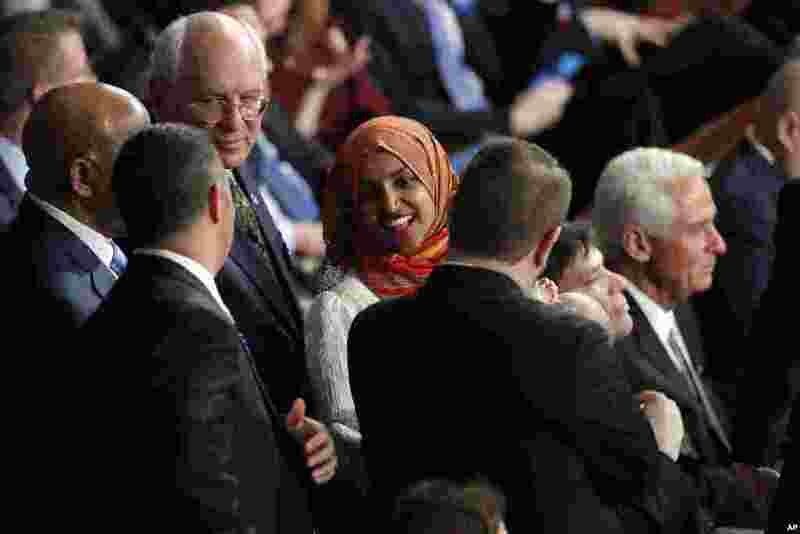 4 U.S. Representative-elect Ilhan Omar (D-MI) arrives inside the House Chamber as the U.S. House of Representatives meets for the start of the 116th Congress on Capitol Hill in Washington, Jan. 3, 2019.